'The Best Seat In The House' The Original Lava Buns Insulated Seat is great in both warm and cold weather! Lightweight and easy to carry handles make it a go anywhere, do anything seat. The Lava Buns uses Dual Microcore™ Element for superior warmth in cold weather, or throw it in the freezer the night before and have a nice cool comfort pad for blistering hot days. 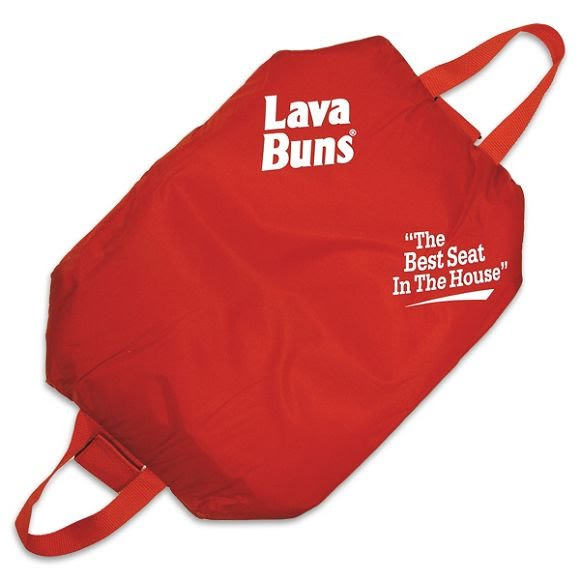 The Original Lava Buns Insulated Seat is great in both warm and cold weather! Lightweight and easy to carry handles make it a go anywhere, do anything seat. The Lava Buns uses Dual Microcore™ Element for superior warmth in cold weather, or throw it in the freezer the night before and have a nice cool comfort pad for blistering hot days. Lava Buns are your year around ticket to comfort! Now with our new, patented Dual Microcore™ Element for over 150 sq. inches and 48oz of heating or cooling comfort!! !